Tucked away in the rolling Ozark hills lies a little town with big vacation possibilities. A town with scenic forests and lakes, over 100 theaters featuring amazing, live shows, an impressive theme park unlike any other, a dining and shopping selection to rival those in bigger cities, world-class golf courses, outdoor adventure and cozy, accommodating lodging. 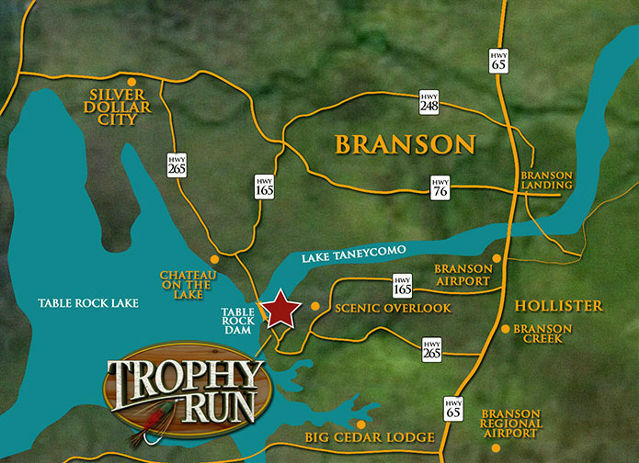 Only one place holds all those treasures and so much more –Branson, Missouri. We invite you to enjoy our genuine Ozark Mountain hospitality throughout the year. Our welcome extends throughout five unique seasons. From January through December you’ll want to come back again and again to experience the varied charms of Branson! Explore our discount Branson travel specials, and Branson family getaway packages. With a population of just under 5,000 in the City of Branson and 60,000 in the two-county area, Ozark Mountain Country offers a sense of community and small town family values that appeal to many. As one of the country’s leading entertainment destinations, these old-fashioned values are accompanied by an energizing air of excitement. 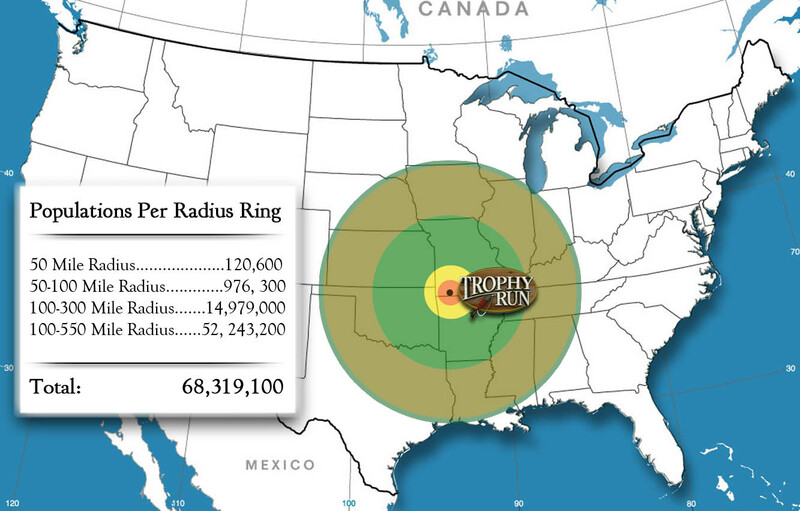 The Branson area not only offers residents a wide variety of activities to enjoy, but also a moderate cost of living, a low crime rate, scenic beauty, a mild climate, and exceptional educational opportunities. Whether you’ve been to Branson hundreds of times, or you’ve never been at all, we would like to encourage you to come soon for a memorable vacation experience. 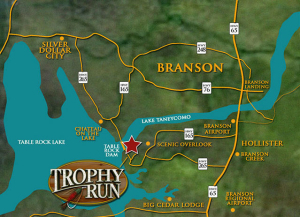 Trophy Run is located in the heart of the Midwest, just ten miles south of Branson, Missouri on Lake Taneycomo. Here you’ll find our Adirondack-style cabins tucked into the wooded hillsides of the Ozark Mountains. We are less than a day’s drive for more than one-third of all Americans, with low-cost flight options arriving on a daily basis through the Branson Airport, Springfield-Branson National Airport and numerous airports offering private flight options.